says Gowri Rajendran, trustee Friends Society. Beauty is what happens when 60 volunteers come together to create a sports events for nearly 600 differently-abled children. Last Sunday (16th December), an All Vadodara Special Children Sports meet was organised by Friend’s Society, one of the oldest NGOs in the city. The event is aptly called “Shaurya – a feat of courage” displaying the courage of children, their parents, teachers and the spirit of volunteers who have run this event every year for the last 21 years! 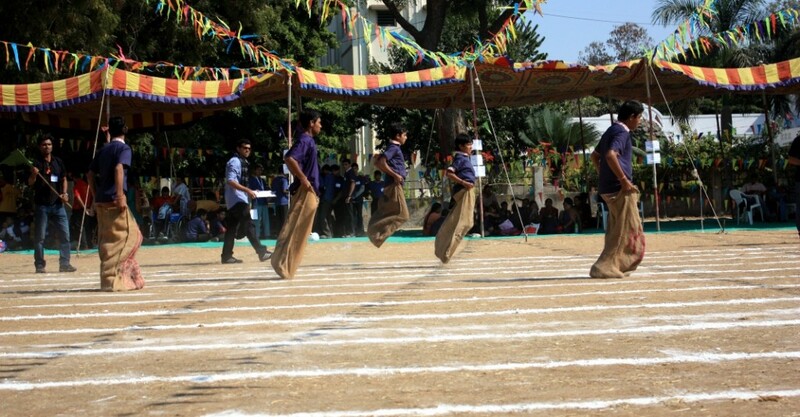 This year 558 special children from 23 schools across Vadodara participated in Shaurya. Ranging between 7 years to 18 years of age, these children showed that they came prepared! 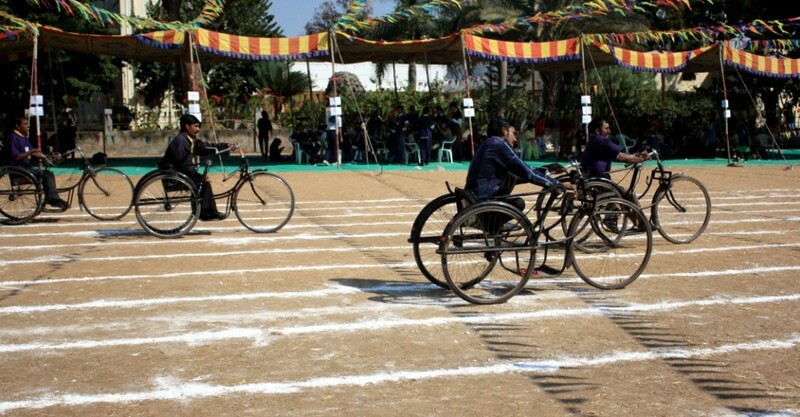 Be it shot put; 100mt race; hurdle race or a ball throw race, the special children proved their mettle. We bring you a glimpse into the event through this photo journey. The event started with the lighting of the torch. Special children and volunteers then passed the torch together across the perimeter of the ground. 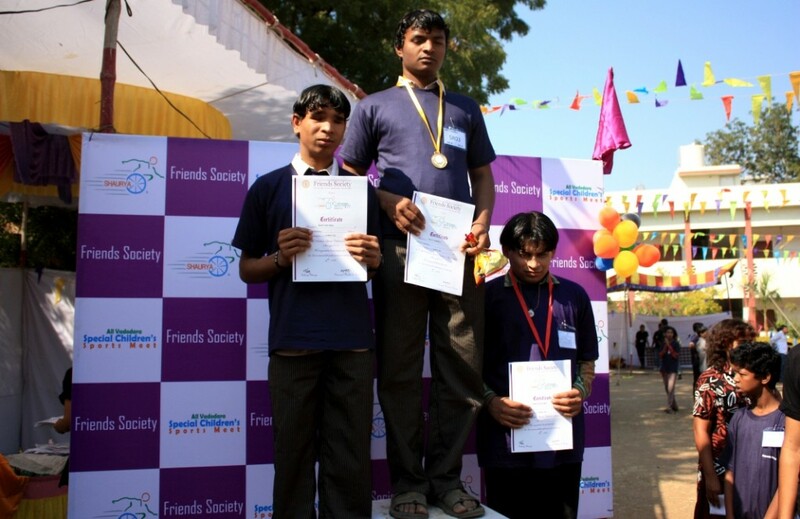 This year, Shaurya had 96 games across different categories based on the physical and mental capabilities of the special children. They were at the finish line before we could even click! Viraj, who has volunteered since the 6 years, says he can never be more thankful as Shaurya gave him his first job when one of the sponsors took notice of him! Have you been part of a volunteer-led and volunteer-driven event? We would love to know about your experience! 9 Responses to "Shaurya – A feat of Courage!" Nice to know of your interest and involvement with Social Service/ Development. Liked the article above on Shaurya 2012. I have created a link to this article on a blog I maintain on Friends Society, Vadodara – Hope that is OK with you – if not, please let me know. I am glad you liked it. Thanks for sharing… I am perfectly fine with that.. In fact I had myself wanted to leave it as a comment on the fsinvolve blog but couldn’t do so as only members can post.. You can also post link for the article on IVD celebrations with youth club..
Are you based in baroda? Sorry for the late response – Saw your reply only today. I was an active member in late 70s – early 80s. Click on the ” Join this site ” button on the right hand side under Followers. This blog is not officially sanctioned or approved by Friends Society – I am doing out of my own interest, because the FS newsletter INVOLVE was not published for many years. It would be good to have at least two more people as Administrators – if you are member of FS and also interested to post content about FS activities in particular and Social Service activities in general – you could be the one I am looking for. Much that is wisely thought cannot wisely be said and even when it can be said, the person may not have the command of the language and medium to convey the thoughts wisely ! Continuing from where I left off, I was hoping that someone will show interest, but it was not to be, maybe due to what I said above, or maybe due to lack of time. I hope you may be interested, but you probably are very busy with your own activities and Web site. Please let me know if you can or if you find someone who would be. would have loved to contribute more on friend’s society activities on FS involve blog but I moved out of Baroda a year ago so no longer an active member.. Let me know how I can help otherwise. Btw did you know FS recently published INVOLVE newsletter? I will send it to you via email. I have already posted the INVOLVE Newsletter on the blog and also FB. Hi Ashima very good article .. I am also working with FS Vadodara and this year part of organizing Shaurya which will be taking place at 4th of January. We will be so glad if you can be part of this year’s event. 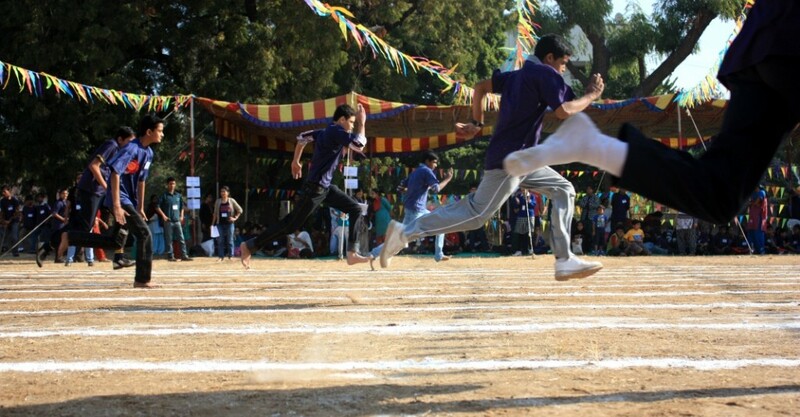 I wish I could be part of Shaurya and of all the activities of FS, but I moved out of Baroda last year. I am now based in Angola. 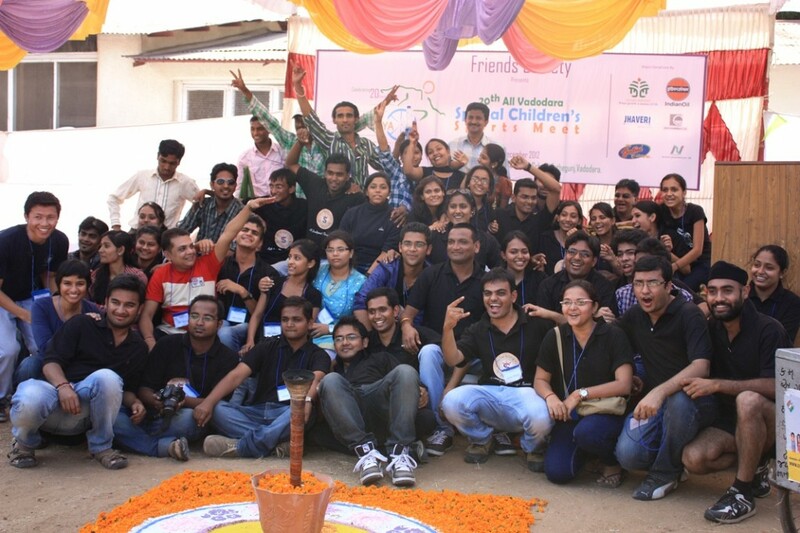 It will be great if you can write about your volunteering experience of this year’s Shaurya and other activities. We would love to share experiences of all volunteers! This year’s Shaurya was a grand success Ashima, I loved the event and it was such a satisfaction to see kids having fun. Will soon share my story & share pics and complete details.